A strong start from Teddy Stankiewicz was not enough as the Sea Dogs fell in extra innings. Stankiewicz went the first seven innings allowing three runs, two earned, on eights hits. He struck out five without walking a batter. Jake Cosart continued to struggle with his control, walking three over two scoreless innings, and he now has walked seven batters while recording seven outs on the season. Jamie Callahan picked up the loss after allowing one run over 1 2/3 innings. Nick Longhi was the only player with multiple hits for the Sea Dogs, going 2 for 5. Rafael Devers went 1 for 5 with a strikeout as the designated hitter. A three-run eighth inning was enough for the Hillcats to sink the Red Sox. Matt Kent was able to rebound from a rough first appearance, allowing one run on six hits over 4 2/3 innings. Adam Lau moved to 0-2 on the season after allowing the go-ahead run to score in the eighth. Josh Tobias and Mike Meyers each went 2 for 4, with Tobias adding a double. It was a rough night for Josh Ockimey, who went 0 for 4 and did not pick up a hit or a walk for the first time in seven games this season. 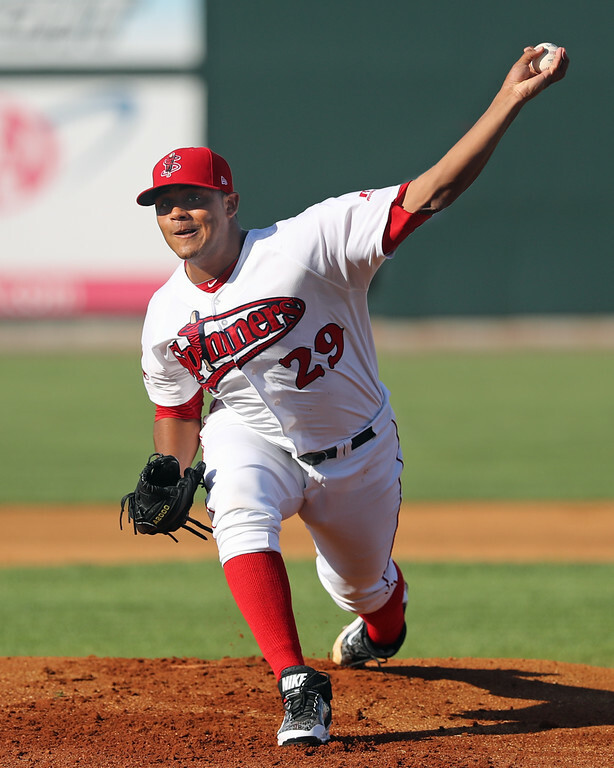 Darwinzon Hernandez continued to rack up the strikeouts, punching out eight batters over four innings of one-run ball. Daniel Gonzalez was just as impressive, throwing five hitless innings while striking out four. A solo home run from Tyler Hill was the only extra-base hit of the game for the Drive. The home run was the third of the year for Hill. Bobby Dalbec went 1 for 3 with a walk and a strikeout, and Yoan Aybar went 1 for 4 with a run scored. Player of the Night: The 21st ranked player in the SoxProspects.com rankings, Darwinzon Hernandez has come out hot in his full-season debut. The 20-year-old left-hander has now struck out 15 batters in nine innings, allowing two earned runs on eight hits. With a fastball that sits in the low 90s and has touched 95 mph, Hernandez is an intriguing arm that could see his stock rise if his secondary offerings take a step forward this season.